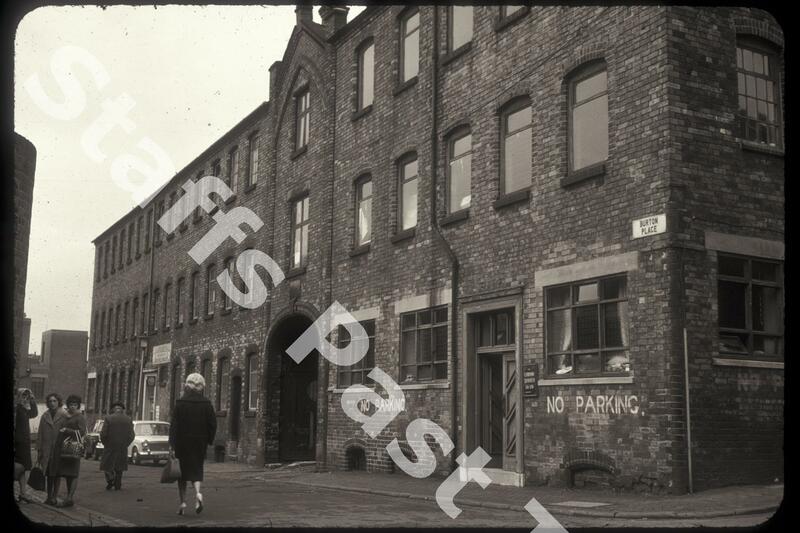 Description:The building on the right was occupied in the 1960s by Foulkes, building and decorating materials suppliers but had previously been a pottery. From the early 1920s until 1937, this was part of the Corona Pottery Works of S Hancock & Sons, earthenware manufacturers. The Corona Works had been known previously as the Gordon Pottery in the Old Burton Place Works. The arched entrance led into a central courtyard. Later demolished, the works became a Marks & Spencer department store. The road off to the right is Meigh Street.